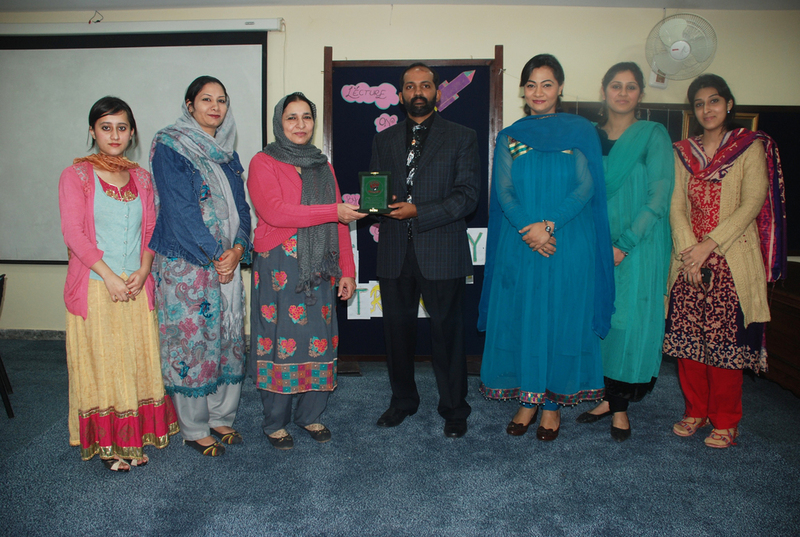 It was my privilege to receive an invitation from the Geography Society of 'Lahore College for Women Univeristy'. 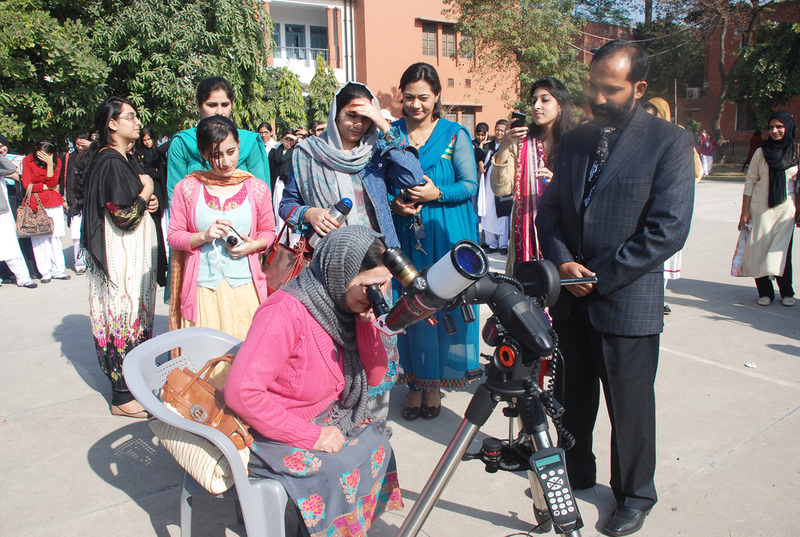 They contacted me with regard to the 'Astronomy Day' being celebrated at their institute and wanted me to give a lecture on something related to our solar system. If it is related to astronomical public observation, i am all available for it. 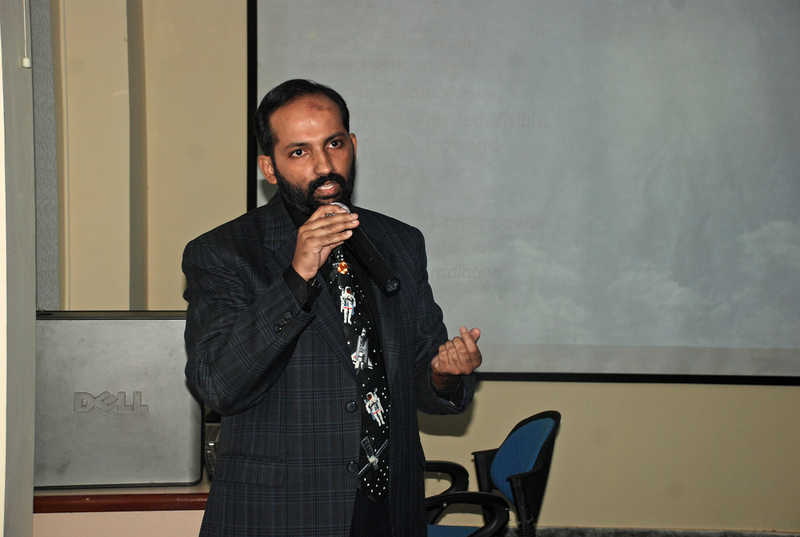 I immediately accepted the invitation and prepared a keynote presentation on 'Our Star - the Sun'. Whats more, i took my trusted Lunt60 halpha telescope, which has been so faithfully providing me with such spectacular solar atmospheric images, along with Celestron Advanced VX Mount. Televue 9mm Nagler eyepiece and Lunt zoom eyepiece for eyepiece observation. 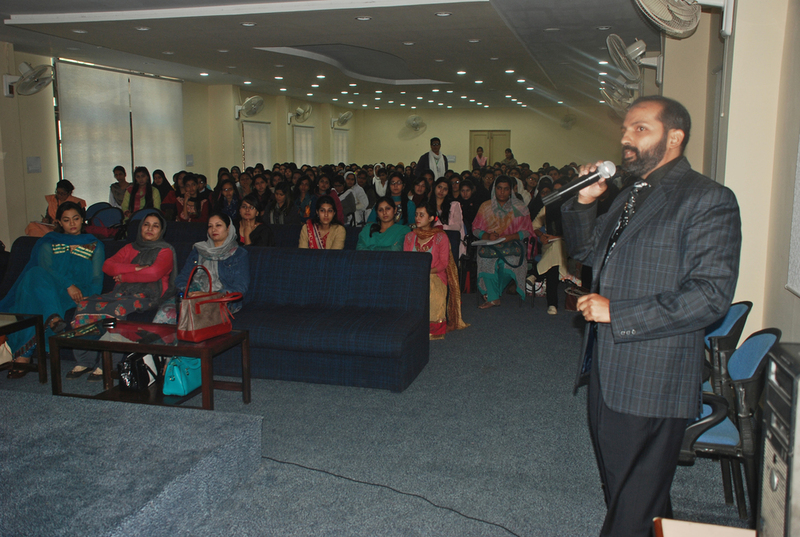 When i reached there, students and faculty members were already seated in the seminar hall which was full to its capacity and nicely disciplined. My lecture was simple and without fancy terminologies, only relating to the viewing of the sun through hydrogen alpha telescope. I explained about the solar features they will be seeing with their own eyes, what they are called and what cause those to appear on the sun. 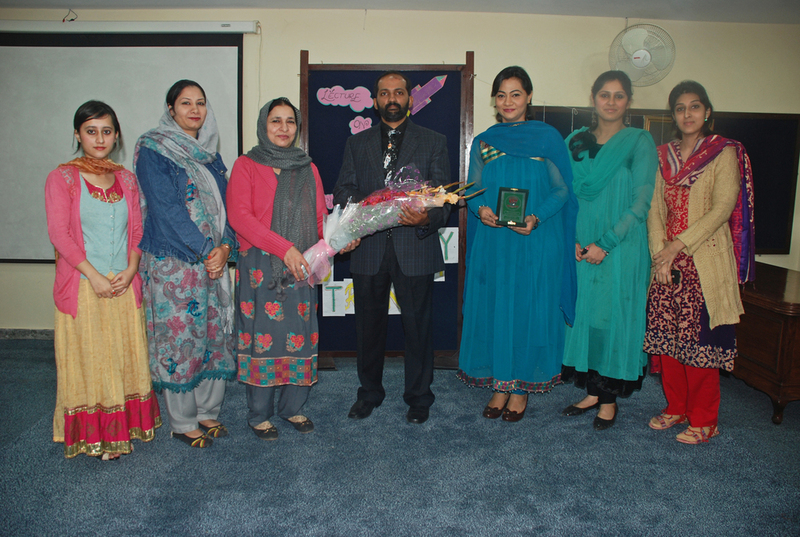 The lecture ended up with very interesting Q&A session and later they requested me to hand over some certificates to some of the bright students of their department. I was totally honored! Next, we went out to the open basket ball area, where i fixed the solar telescope on the mount. 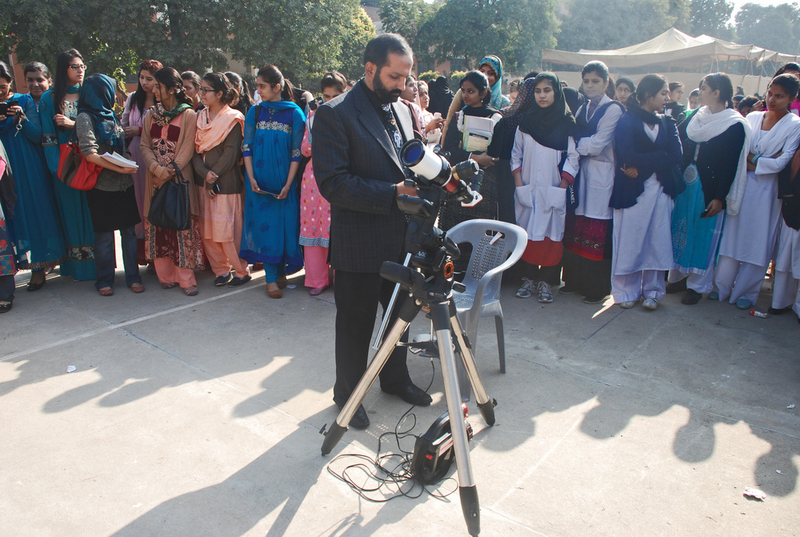 Students were gathering around me, very anxious to look through the telescope. No one had ever seen the sun with any kind of telescope before and this would going to be their first solar observation of their lives! You can imagine their excitement. It started out with the head of the department and then teachers and students.. so many WOWs and OMGs i could hear near the telescope. They could see the sunspot, prominences, filament and chromospheric network. It was a good day and very satisfying for me. 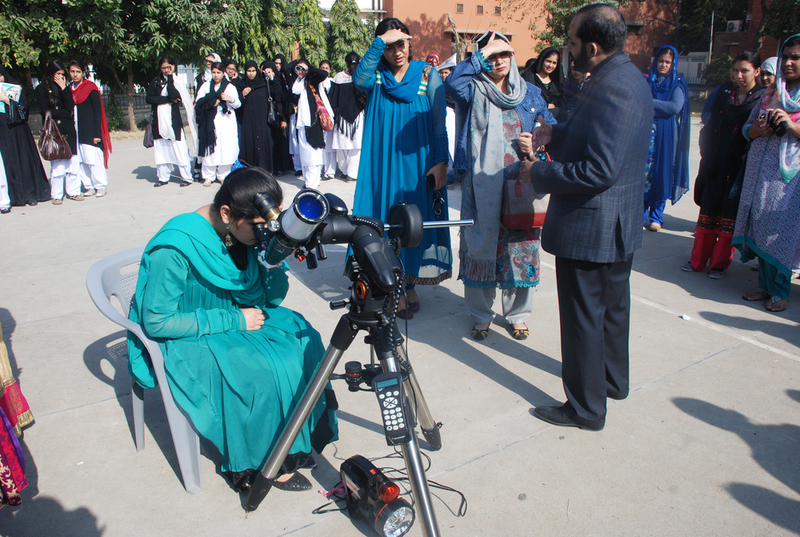 I am sure all those students will always remember their excitement and would definitely recall the eyepiece view whenever they will see the sun again. I am thankful to the Geography Society of the University and everyone involved in this very well organized and exciting event.